Like all of us, I get many online fundraising pitches. And I get occasional requests to use this blog for fundraising. I almost never do. But this graphic, from Illinois LegalAidOnline is so wonderful as a model that I can not resist passing it on — as well as the donation link. Note the creative analysis of how news impacts on usage of data, making us all appreciate the value of this work. We should surely be doing the same analysis nationally. 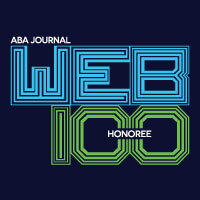 Remember too, that good data mining might let us work the other way — using changes in usage to predict changes in need for community-based legal need, something our community has been very poor at, partly because we feel so overwhelmed that it does not matter if need is going to increase in some area. It is only fair to include the rest of the pitch, and the donation link. 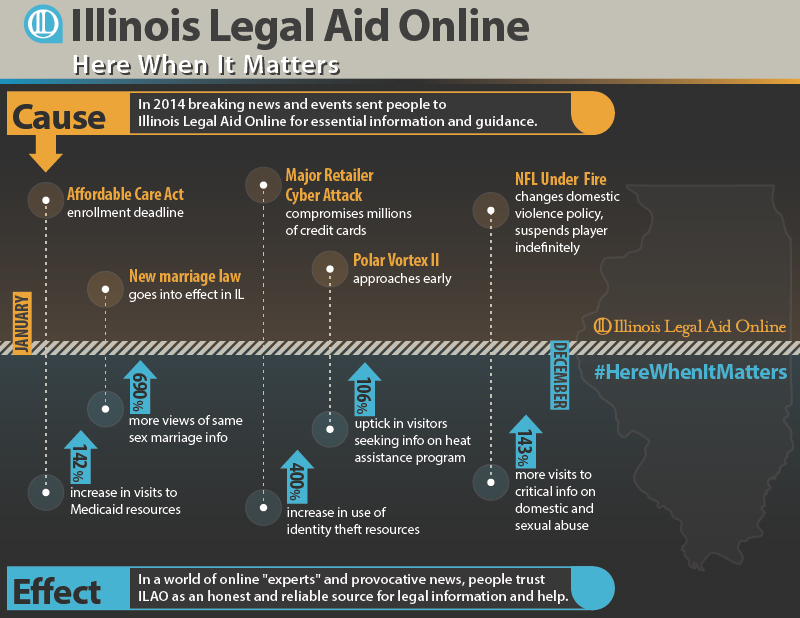 Illinois Legal Aid Online has been #HereWhenItMatters for over 13 years, helping people who can’t afford a lawyer solve their legal problems on their own. In times of crisis, Illinoisans turn to ILAO to understand their legal options, make informed decisions, and represent themselves in court. In 2014, over 2 million of your neighbors went to IllinoisLegalAid.org for answers. For example, when the NFL recently changed its policy and suspended a player who assaulted his fiancé, the number of visits to our domestic violence resources more than doubled. After this incident, there was a 62% increase in the number of people who took the next step to secure their safety by completing our interactive Order of Protection form. We’re here when it matters, providing the necessary tools for people to protect themselves and their families whenever a lawyer is out of reach. This entry was posted in Funding, Self-Help Services, Technology. Bookmark the permalink. Richard, thank you for your kind words, for your post and for sharing our work. We so appreciate it.